Business After Hours is held the third Thursday of every month at a hosting business from 5:30-7:00 pm. This is a very relaxed and social environment for your business to network with fellow business men and women. Bring your business cards and hand them out like candy! With the hosting business providing door prizes, refreshments, and sometimes even live entertainment, Business After Hours is not to be missed! Every quarter a new subject, every quarter a new presenter. With such a wide variety of educational subjects to cover for small and large business, and with such a pool of educated professionals willing to share their expertise, the Chamber of Commerce and the Small Business Development Center has joined forces to offer monthly Training Sessions. A low cost for Chamber Members of only $10.00 and for Non-Chamber Members of only $15.00 it’s affordable for everyone! Subjects range from website development to government procurement. Come and enjoy morning refreshments before the class at 8:30 am. Knowledge is power! The Chamber Chat is a monthly publication that is made about and for the Chamber Members. Photos and editorial as well as monthly Aubrey Dunn Sr. Visitor Center numbers and maps, this publication can not only be educational but also a form of advertisement for your business. At a first-come, first-serve basis your business can advertise your business card for a minimal fee. Have an event you want listed in the Calendar of Events for the Chat? Be sure to add it through ChamberMaster and it will be included in the monthly Chat. You can access this publication here: Alamogordo Chamber of Commerce – Chamber Chat. Reaching over 600,000 people on the web. To further communicate with the Chamber Members, a Newsletter each Friday the “Week At A Glance” is sent out to all Membership. This includes upcoming events for the following week. This should assist busy business men and women as reminders for Committee Meetings, Ribbon Cuttings, Open Houses, Grand Openings, Training Sessions, Business After Hours, FAN Club, and so much more! Every effort is spent on trying to better our Membership through quality communication. The Chamber is the “front door” to Alamogordo. We welcomed over 22,000 visitors during 2008-2009! The Chamber receives an average of 75 phone calls per day, many seeking business referrals, and We refer only Chamber members. Display your brochures at no charge in the Visitors Center. Grand Opening – Chamber Ambassadors provide exposure for your business via ribbon cutting and Chamber Chat coverage. 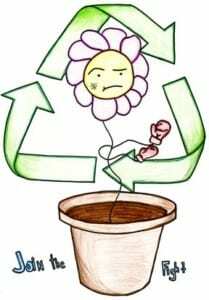 FREE, Your business listed on our Web site at www.alamogordo.dev.cc by area of specialization. Average of 600,000 visitors to the site per month. FREE links from our Web page to yours. FREE listing in our Annual Membership Directory. 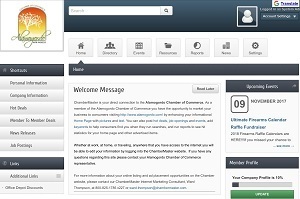 FREE Member lists of all Chamber business members. Printed lists and mailing labels available at a reasonable cost. Member-to-member discounts provide an excellent way to promote your business and offer money-saving services. Approximately 40 businesses participate and discounts include up to 20% off many products and services. Additionally, this serves as a great advertising tool for your business. Welcome to the Alamogordo Chamber of Commerce!